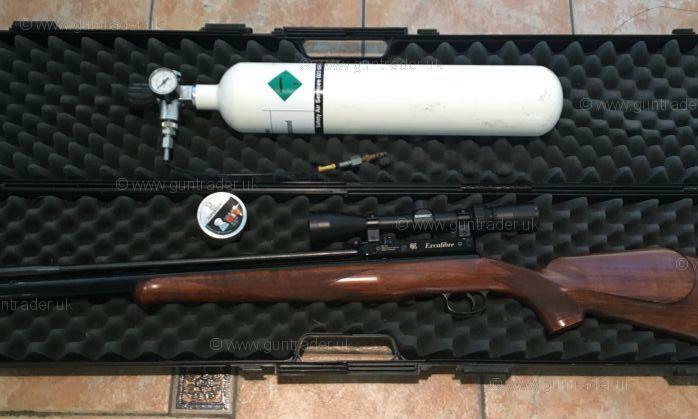 RWS .22 Excalibre Pre-charged Pneumatic Second Hand Air Rifle for sale. Buy for £475. Here is my pride and joy RWS Excalibur 7 shot bolt action, have had this gun for around 10 years and hasn't failed me once. Also comes with hard plastic case, 3L divers bottle and a tin of the RWS pellets I use. Selling as I am getting more into my fly fishing now. ( gun has a few very small scratches and is missing the one cap on scope) Cheers for looking.